If you've read my previous post on Main Ridge Cilia you would know that it wasn't a very pleasant experience and that, at the time, I did wonder if the cheese was right. We recently had a batch of Cilia that ripened at an alarming rate due to a maturing room meltdown. That batch was put on hold and was rejected by myself. Unfortunately before I could discard the batch, staff filled some orders from that batch and of all people to be affected by this stuff up, you unfortunately were one! That batch of Cilia was nothing like our normal Cilia which is usually rather mild. The cheesemaker generously offered to send me all sorts of cheese but in fairness I was satisfied with just swapping the cheese for one that was right. So what I have before you is Cilia as it should be. There's an obvious difference visually - the white mould is much whiter and better formed. 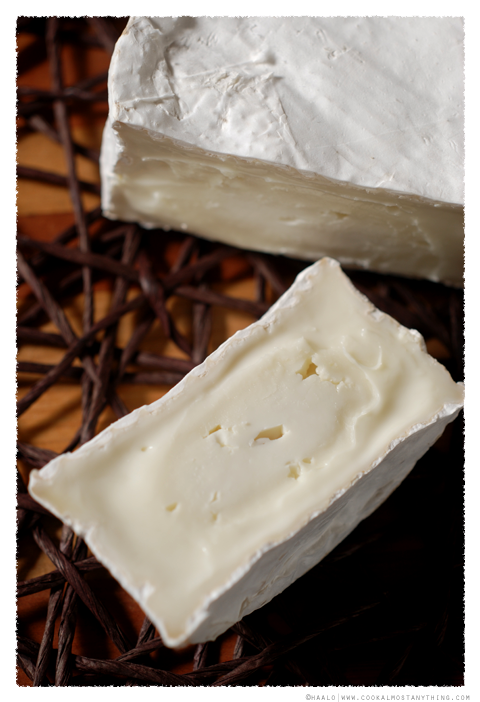 Those barnyard aromas are thankfully non-existent - in fact there isn't a huge aroma coming from this cheese. 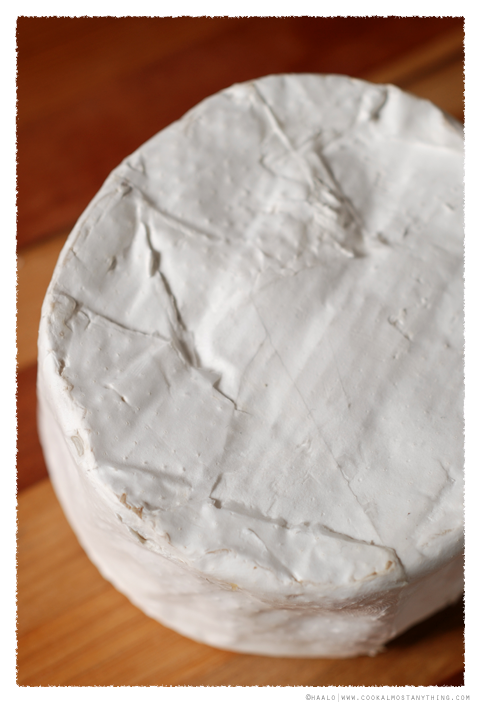 Once sliced, it has that whiteness to the curd that you expect with goats milk. The photo was taken when the cheese hadn't been out of the fridge for very long so it's not showing those gooey characteristics that come once it's at room temperature. You should be able to make out that harder central core indicating that there's still a little time left before it reaches full maturation. I will agree with the cheesemakers comment that Cilia is rather mild - in fact we found it probably a little too mild. A pleasant cheese but perhaps lacking a little character.